Pharrell’s longstanding collaborative partnership with adidas has been largely highlighted by a bounty of NMD Hu releases that aim to spread a message of global peace. While a plethora of Tennis Hu models and a brief set of Crazy BYWs were sprinkled in, it is the NMD that has been largely responsible for Skateboard P’s rise to sneaker stardom. Utilizing the adidas Ultra BOOST for inspiration, Pharrell’s next collection will consist of three colors of the brand new Solar Hu Glide. 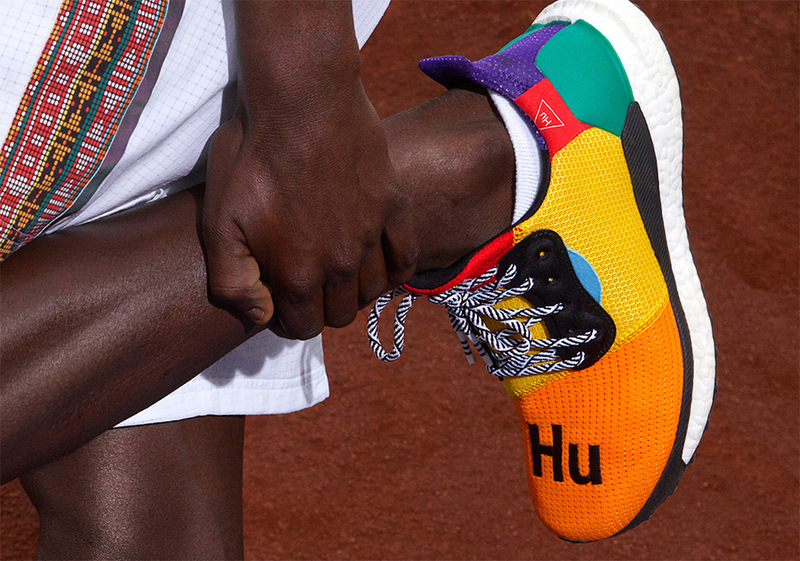 Hu branding on its toe box, a familiar triangle logo tag on the lateral side, and bright and boisterous color schemes have this capsule feeling patently Pharrell. No official release date has surfaced for the new Solar Hu Glides, but it appears that select retailers the likes of SNS will will be pre-releasing pairs this weekend, September 8th. While you wait for a full-scale global drop, check out all three versions below and tell us which color is your favorite. Updated September 14th, 2018: The Pharrell x adidas SolarHu Glide will release globally on September 25th.